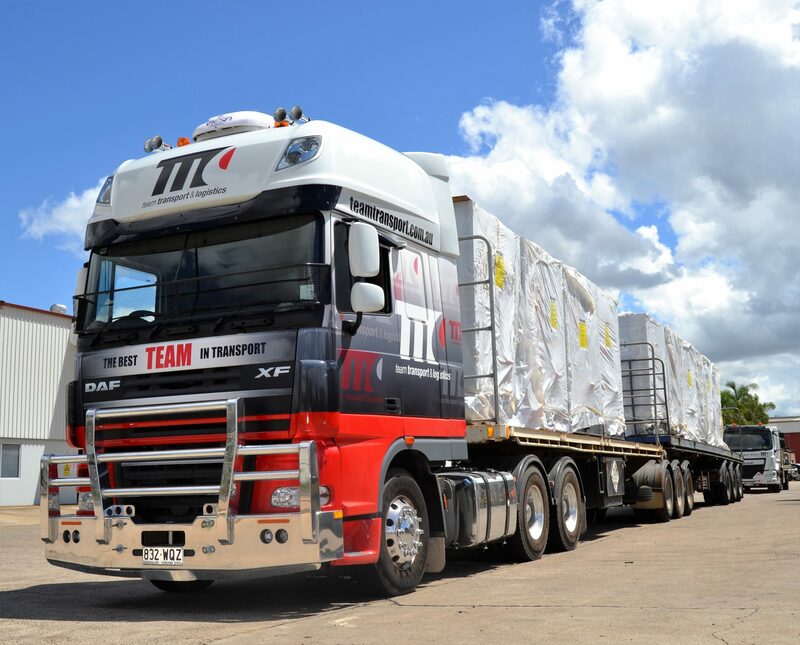 At Team Transport and Logistics, we pride ourselves on being Brisbane’s semi trailer specialists. We are driven by strong customer service values and believe this is the foundation of our success. That’s why we provide comprehensive nation-wide semi trailer hire with fantastic options for accessories and trucks. Our fleet of over 50 Semi Trailers including drop deck, tautliner and extendable trailers up to 29 metres are available on demand or permanent hire. These vehicles are fitted with appropriate restraining equipment for all products. We can supply gates, pipe racks and other specialised equipment on request. Our semi’s run local and Australia Wide! Team’s fleet of semis is more than 50 vehicles strong and features semis from leading Australian and international manufacturers. Our range of vehicles includes drop deck trucks, tautliner models and extendable trailers of up to 29 metres. All our semis come fully equipped with high-quality restraining equipment for any products that need to be transported. We can also provide a huge range of specialty equipment, such as essentials like pipe racks and supply gates, so you’ll never be left in the lurch. Our success is simply the consequence of outstanding customer service … this is what drives us! If you need to rent a semi trailer in Brisbane or anywhere else in Australia, contact Team Transport & Logistics today on 1300 645 106.